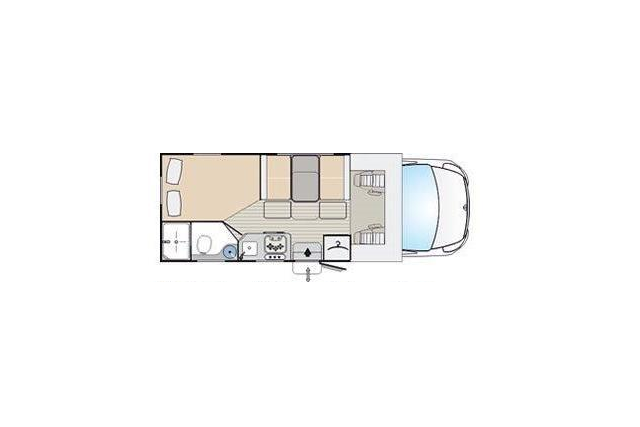 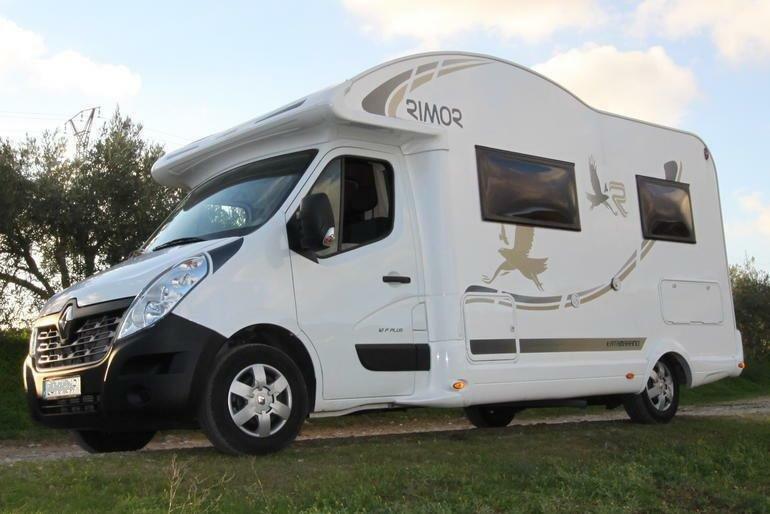 The Rimor Katamarano 12P is designed for two to four travellers. 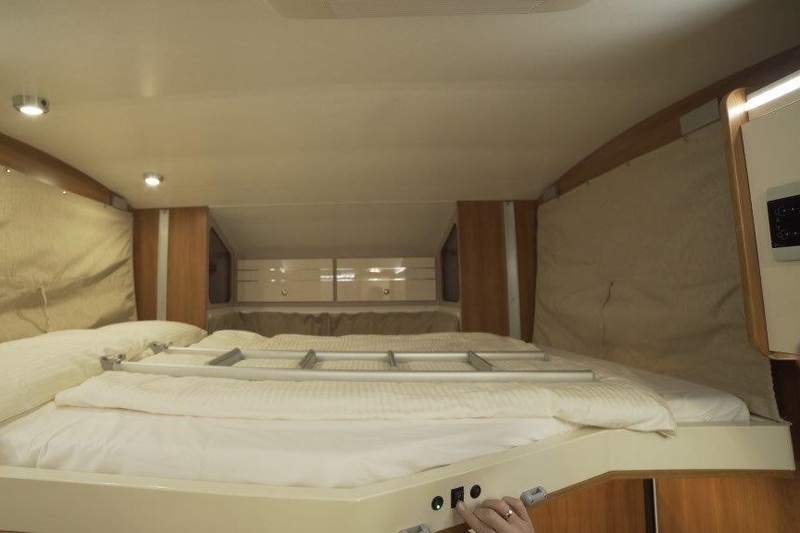 Its notable features are the French bed with low entry height and the practical fold-down bed above the sitting area. 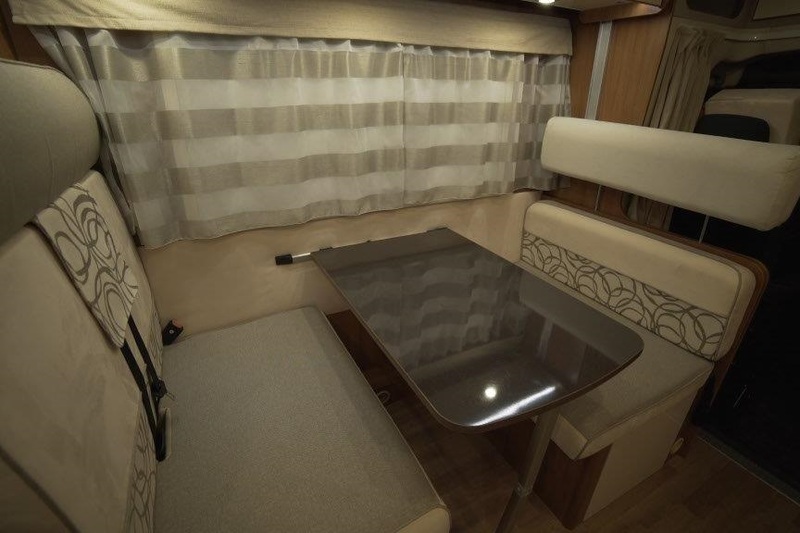 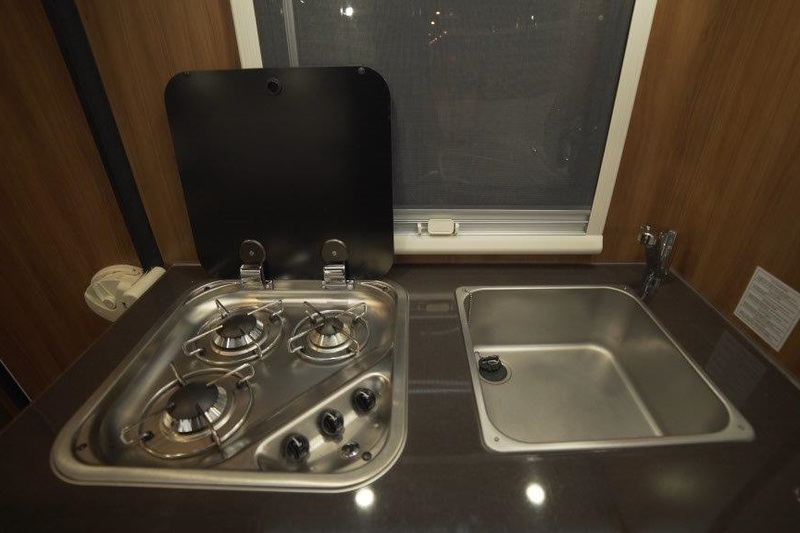 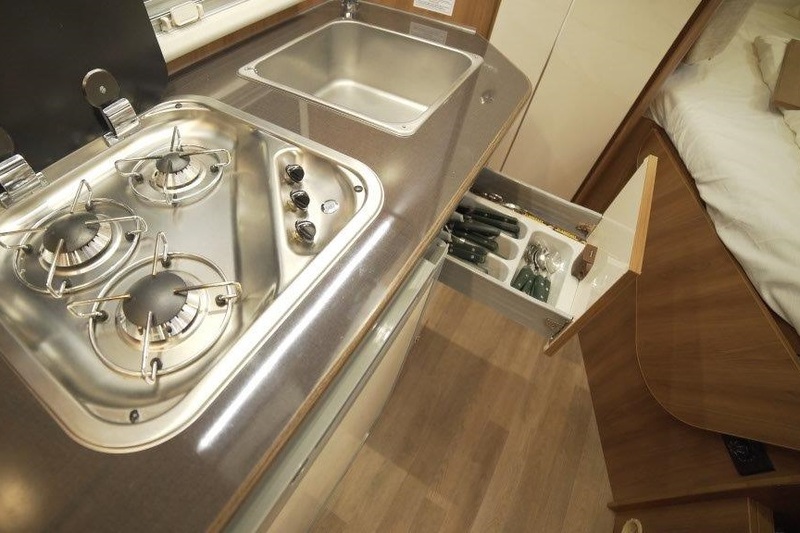 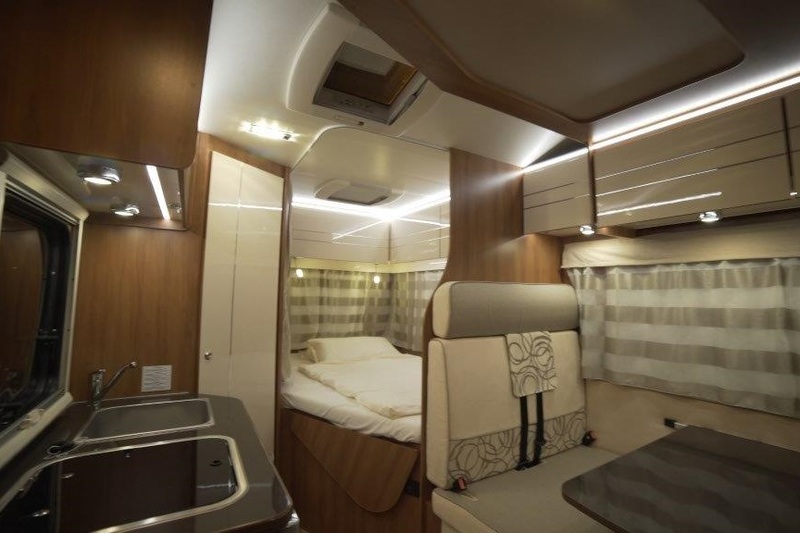 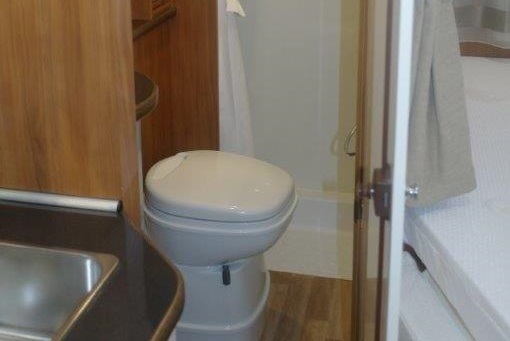 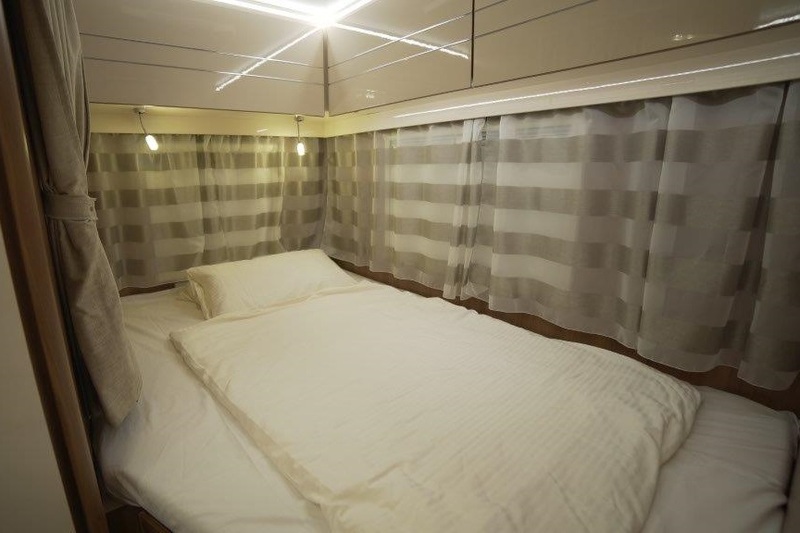 The motorhome is also equipped with a complete kitchen and a bathroom with WC. 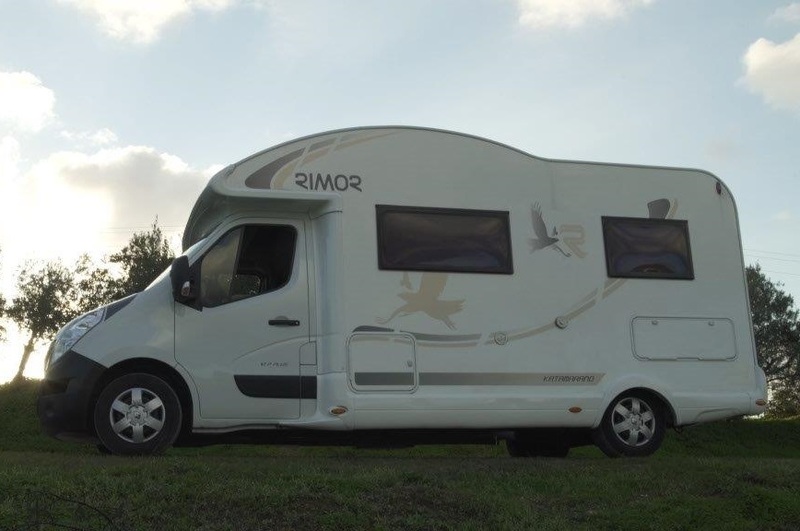 The headroom over the entire length of the vehicle and the comfortable sitting area provide additional comfort. 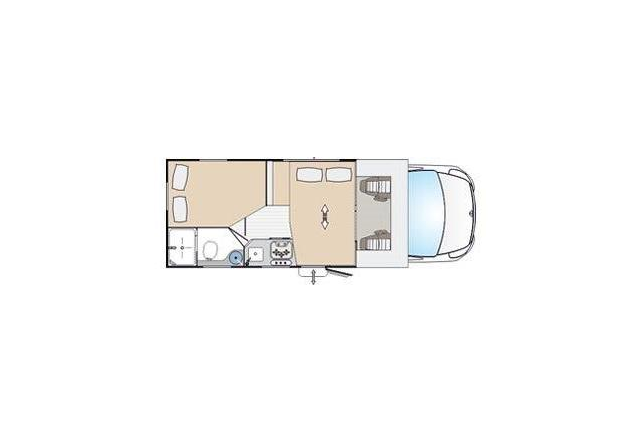 The garage can be loaded from the outside and offers enough space for all camping furniture.